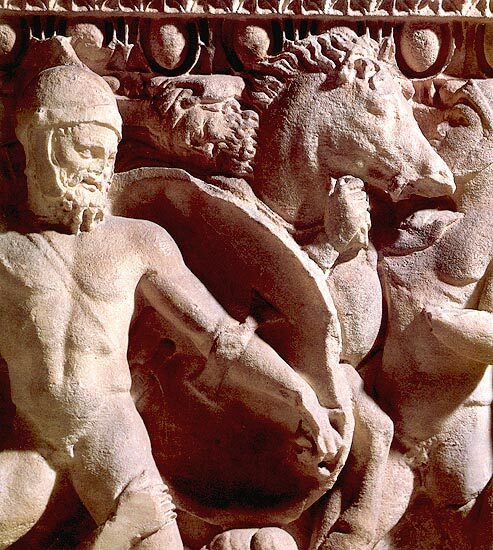 Detail of relief with the scene of battle between Greeks and Trojans. Formerly in the Civic Archaeological Museum. © Photo, text: GIOVANNI D’ANNA “LEGGENDE E TRADIZIONI DELL’ANTICA ROMA”, ARCHEO, N. 31, p. 7.